Kicks of the Day: Supra Owen "Acid Yellow/Navy-White"
Supra&apos;s runner option, the Owen, has been dropped off in a new colorway for spring/summer. 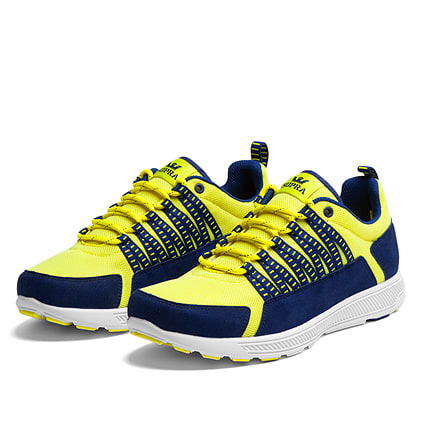 The lightweight pair sports a can&apos;t-miss Acid Yellow and Navy upper, sitting atop a contrasting white midsole. Minimal branding is present on the low-top release, as dotted laces accompany the set. Hit up Supra&apos;s online store today to grab your size for $80.